A no-compromise luxury combination, perfect for honeymoons, or indeed any special occasion, experiencing first hand two of the world's most famous UNESCO World Heritage Sites. 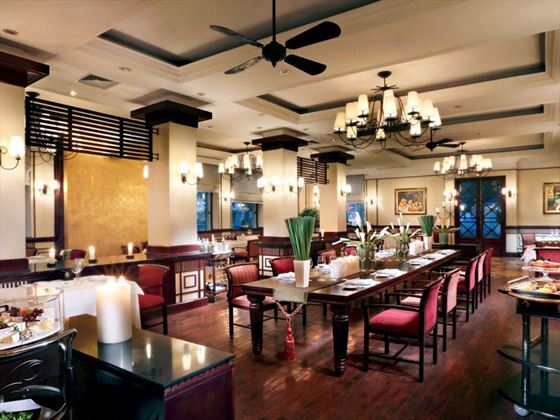 Start the adventure in Hanoi in the north of Vietnam where you will stay at the Sofitel Legend Metropole for three nights. Hanoi is the perfect destination to ease your way into life in Vietnam with some great museums to inform on the history and culture, beautiful colonial architecture and fabulous restaurants showcasing the region’s cuisine. 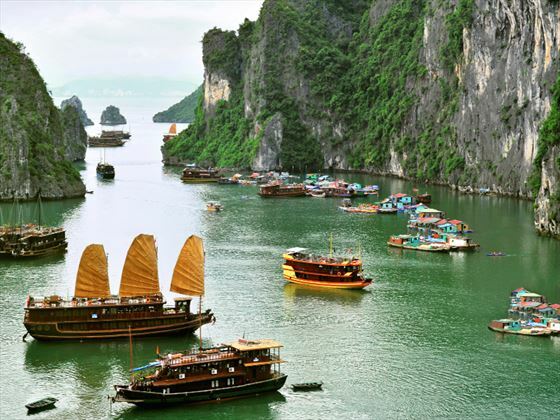 The next stop, an overnight luxury cruise on Halong Bay is a once in a lifetime experience, sailing in comfort among the much photographed, rainforest clad, limestone cliffs that rise majestically from the emerald waters of the sheltered bay. Your next stop is the ancient riverside town of Hoi An, a cultural heritage site with a trading history, Vietnamese charm and historic photogenic sites to explore, such as the Japanese bridge, ancient tea warehouses and Chinese temples. 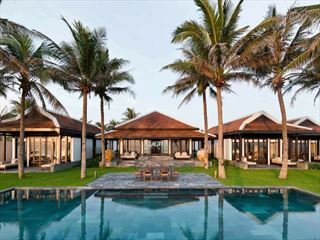 You will also have plenty of time to recharge around the pool or on the wonderful beach at the splendidly indulgent Four Seasons Nam Hai Resort. 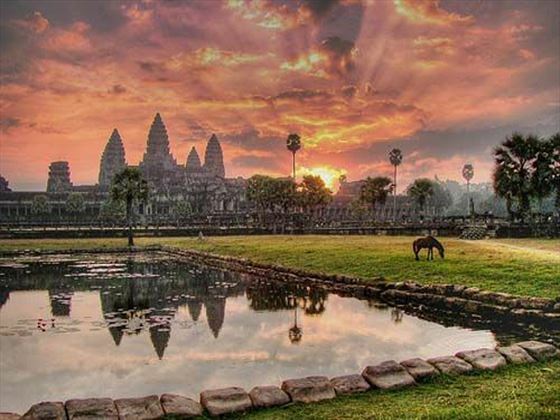 Your final destination is Siem Reap and the ancient architectural magnificence of Angkor Wat. You will need more than one visit to appreciate the vast complex of temples and after your daily sightseeing adventures, you will be able to recharge at the Belmond Residence D’angkor with its exquisite suites, fine dining and beautiful pool (TM). 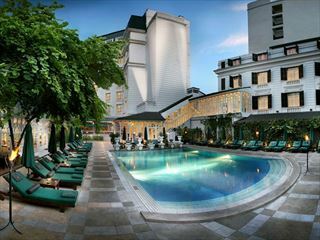 Fly into Hanoi from the UK, where you will be met and transferred by private car to your hotel, Sofitel Legend Metropole. 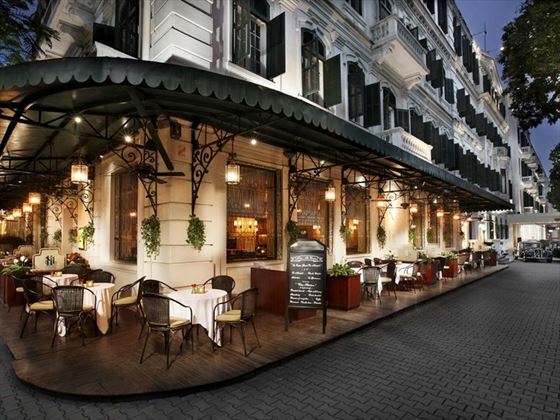 For the next three nights, you'll have plenty of time to enjoy the hotel's colonial history and style, taking advantage of the luxurious amenities, including a fine French dining restaurant, Vietnamese cooking classes, and a spectacular spa. After an early breakfast you will be collected by private car for the four hour drive to Halong Bay, where you will join your overnight cruise into the Bay aboard a luxury 'junk' boat. There are several vessels to choose from that offer a true luxury experience, you will climb aboard at lunchtime where a welcome cocktail and lunch await as you get underway. Visit floating villages and deserted beaches and finally drop anchor with some incomparable views to ponder over dinner. From Halong Bay, transfer back to Hanoi airport for a short flight to Dha Nang where your base for the next 3 nights will be the luxurious resort, Four Seasons Nam Hai, which is nestled on one of Vietnam's finest beaches close by to the heritage town of Hoi An. Transfer back to Dha Nang airport for your 2 hour flight into Siem Reap, Cambodia, your final destination. 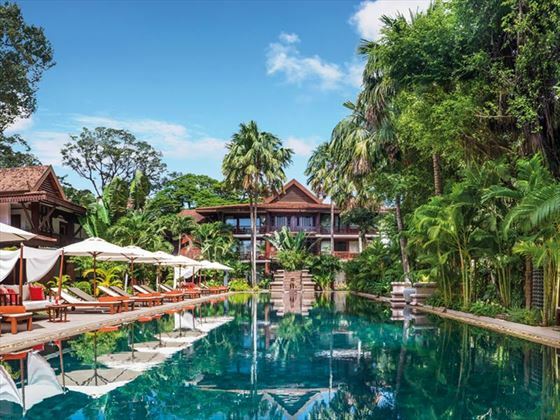 This vibrant town is a lovely place to be based for some exploration of the archaeological park at Angkor Wat and the stunning Belmond La Residence D'angkor is within easy reach of Angkor. Transfer by private car to Siem Reap airport for your flight back to the UK. Flights can be booked via Bangkok and if you wish to extend the trip, we can recommended Platinum hotels in this vibrant Asian city. Special Offer Book the Belmond La Residence D'Angkor by 20 Jun for travel completed between 1 Apr 19 - 31 Mar 20 to receive discounted rates, saving up to €290pp. 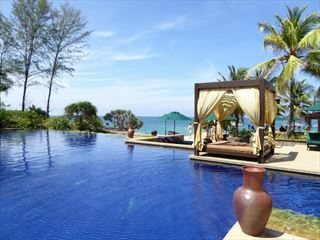 Excludes travel 24 Dec 19 - 2 Jan 20. Discounts included in advertised prices. 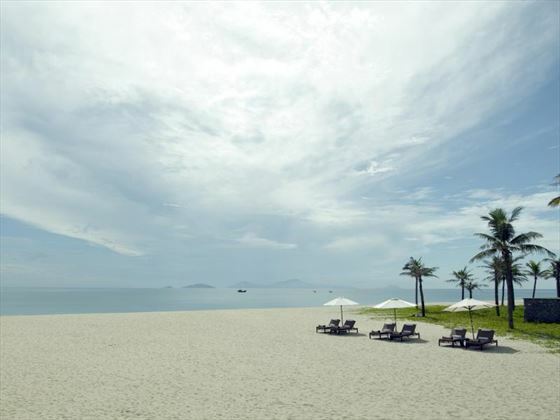 Thanks to a combination of gorgeous white sands, cultural sightseeing and luxury facilities, The Four Seasons Resort Nam Hai resort offers everything that you could wish for from a dream holiday destination in Vietnam. 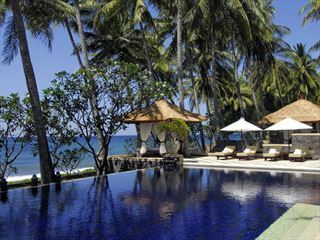 This hotel is truly stunning, with impeccable staff and service - there's something for everyone here, including three huge pools: one for families, one for peace and quiet, and another 40m lap pool. 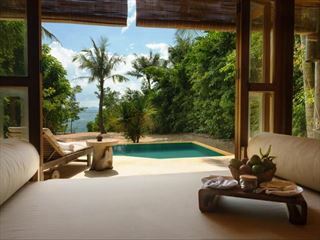 Villa accommodation is spacious, with no stone left unturned when it comes to guests' comfort and relaxation - the fantastic pool villas promise an unforgettable private retreat. Foodies and couples alike will be more than impressed with the choice of menus and venues with special gourmet and romantic treats adding to the allure of dining in authentic VIP surroundings. 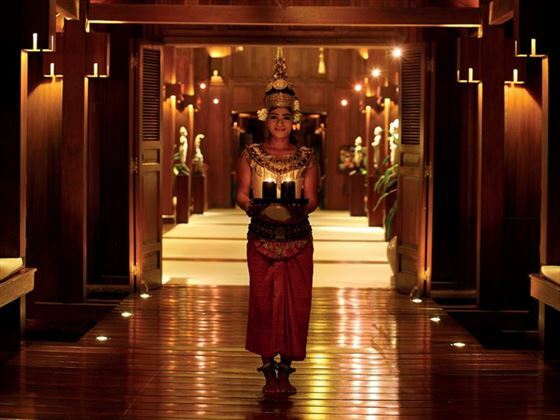 The hotel sits within lush riverside gardens with a traditional design based on the Khmer styled houses built by monks. (At the peak of the Khmer empire, kings lived in wooden palaces; stone structures were reserved for the gods). 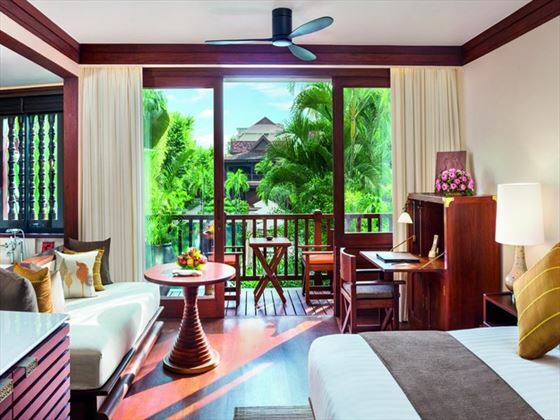 The result is a dark-wooden-panelled oasis in the heart of Siem Reap; from here you are ideally placed to explore the temples of Angkor Wat. 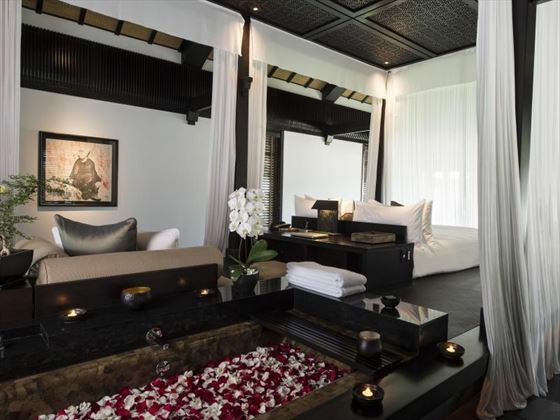 After your day of adventure, come back to the luxurious La Residence D’Angkor; The guest rooms have the luxury of space, with extremely spacious bathrooms and the decor combines earthy Asian signatures with a contemporary finish. 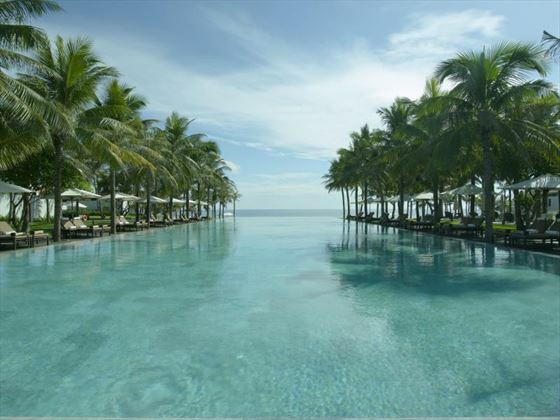 The wonderful pool is an inviting 130-foot-long stretch of emerald green tiles with two Hindu-inspired fountains.